Your floor is more than a solid surface. It serves as the platform for building your business, providing complete protection and performance that can accomodate your company’s growth. Our team can help to create the most advantageous floor system for your industry-specific needs. Epoxy flooring isn’t just about a flat surface that can be walked upon or driven upon. Like the computer systems, heavy machinery, or office supplies you use, the epoxy flooring system you have in your professional space needs to help you get the job done and keep your business moving forward. For example, if you’re a part of the automotive industry, then your showroom floor needs to be sleek and inviting, but you also need large and flat areas in order to accommodate your vehicles. However, a food and beverage processor may require sloping, coving, and non-slip epoxy coatings with an antimicrobial finish. Furthermore, if you’re part of the restaurant or food service industry, it’s critically important for flooring behind the bar and in the kitchen to be a safe stain- and wear-resistant surface.Comparatively, the flooring for a manufacturing plant should ideally have slip-resistant and high impact resistance with work areas that are clearly highlighted. 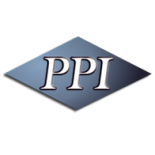 With the help of PPI Flooring of Orlando, we can provide a turn-key process that will transform your workspace into a safe and professional quality work environment engineered for your specific uses. Why Should You Invest In Epoxy Floor Coating? At PPI Flooring, we understand that you need an epoxy floor coating that’s right for the job. We offer multiple floor products, which your facility may require more than one of. With 28 years of industry experience and over 15 years in business, we can help you to find the epoxy flooring system that best compliments your workspace, prepare a plan that makes sense, install your epoxy floor coating quickly and efficiently, and all at a price that’s fair. We utilize a wide range of high-quality products with the most respected manufacturers in our industry, which allows us to customize the right solution for your needs. For more information or to schedule an assessment, contact us today.